Summer Camp 2019 is June 22-27 at Alliance Redwoods. There is a ropes course, zip line, amazing games, awesome speaker and engaging worship and so much more. The Early Bird Price is $375 through Easter Sunday. After Easter the price is $450. Middle School camp is open to incoming 6-8th graders. High School Summer Camp is open to incoming freshmen and graduating seniors. Don’t miss this fun-filled week where your faith will be stretched. Join us for the Big Arcade Serve Day on April 5th and 6th! We have 100+ projects throughout the Arcade Church campus from landscaping to painting. Round up your family, friends and community group members and let's care for our campus together. Sign up below for one of three shifts. Friday, April 5th from 9am-1pm or Saturday, April 6th (lunch included) from 8:30am-noon or 12:30-4pm. Calling all NextGen (formerly Student Life) volunteers! Have you changed a diaper, served a snack, shared a Bible lesson, participated in getting the kids at Arcade Church to hear, see, and follow Jesus? Please be our honored guest at the NextGen Volunteer Appreciation luncheon on March 17 at 12:30pm in the gym. Please RSVP by Wednesday, March 13 on our website. Parents - you are not alone! We are a church full of leaders and volunteers that want to come alongside you and support you. Our goal is to partner with you in helping your child follow Jesus. Family Dedication is a public expression of your commitment to raise your children with the support of the church community. If you want to participate on February 24, please attend an orientation meeting on either February 10 or 17 at 10:15am or 12:15pm. Middle School Winter camp is coming up on February 15-18. Sign up here for a weekend of fun as we open up the story of Jonah and see how God uses the most seemingly unworthy characters to turn the world "Upside Down". Cost is $175. Are you interested in membership here at Arcade? Join us the last two Sundays in January during both services (9 am or 10:45 am). The classes are a way to get to know some familiar faces, and to learn more about the past, present and future direction of Arcade Church. Come on down and get your gameshow on! The NextGen Ministry team is hosting a Family Gameshow Night. If you have ever wanted to be on a game show, sign up for a chance to be “in the show!” Otherwise, come be part of the “studio audience” and have fun watching all the antics. Sign ups only needed for those who want to be a contestant in the show. Are you looking for a few quiet hours to finish your Christmas shopping or wrap the gifts you already purchased? Drop off your children, ages 0-5th grade on Saturday, December 15, and we will watch them as you cross a few items off your busy holiday list . Between 3-7pm, we will provide dinner, games, crafts and fun. Cost is $15 per child or $40 per family (3 children or more). Mark your calendars for this year’s Christmas party at Arcade Church. On December 8 and 9 at 5pm, we are hosting a B-I-G celebration for the community. Join us for special music and performances, including live jazz and the Arcade Children’s Choir. 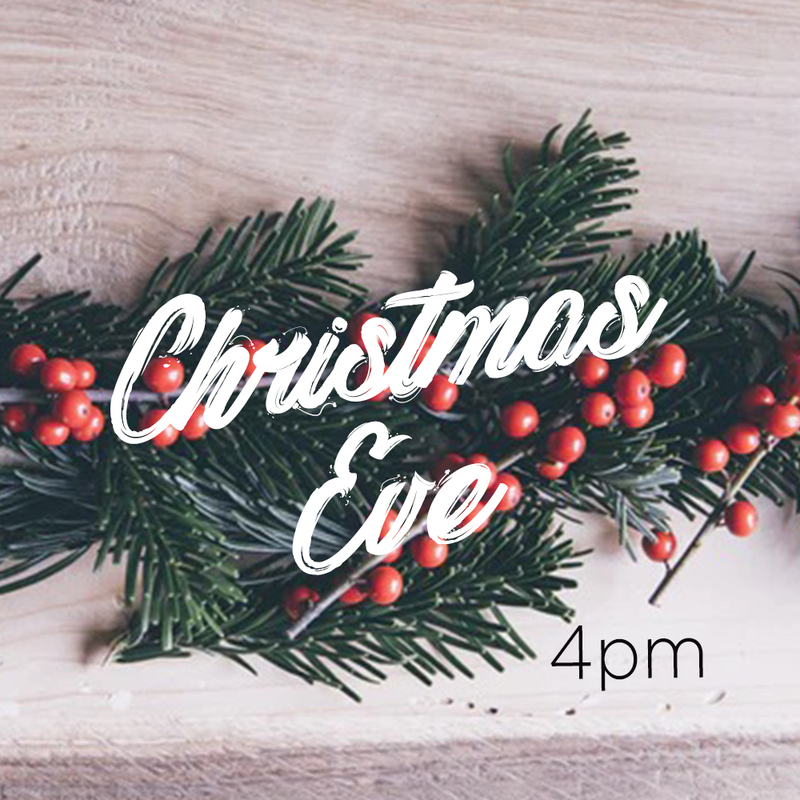 We’ll have food trucks, a photo booth, kids’ activities, the annual Christmas tree lighting and a message of hope to celebrate our Savior’s birth. This free event is for everyone, so please invite your friends, family and neighbors to be part of the BIG night. To make this big night happen, we need your help. If you’re willing to serve one of the nights, please sign up below. Good News. Great Joy. The Operation Christmas Child program not only delivers shoe boxes full of toys and gifts, but each box also includes The Greatest Gift booklet - in the language of the child - sharing the gospel message to children all over the world. You can fill a box two ways. Or you can click the link below to fill a box online. God stirs the hearts of kings. He rebuilds nations through His people. He restores the hope of the lost. What if God’s next move is in YOU? Women, get ready for a powerful weekend of worship and growing in God's Word. On November 2nd-3rd, we'll journey through the book of Ezra and discover how God stirs hearts to hear, see and follow Him. Click the register button to learn more. If you want to lead your family well, to grow spiritually, and overcome the obstacles of stress and anxiety, the Men's Retreat is coming September 28-30, at Silver Spur. The Men's Retreat is a perfect time to get away, find rest, dig into the gospel and have some fun! It's $155 per ticket, and you can sign up below! Grow in your faith, meet new people and have fun by joining a Community Group this fall. There are a variety of different groups, so we encourage you to find the one that works best for you. You don't want to miss out on this! Signups start August 26. Groups will begin the week of September 9. Practical advise from others who've been there. It is that time of the year again where we can show our Del Norte members God's love in a tangible way. Volunteer to help with the Member Appreciation Picnic on Friday, August 17. To sign up, please click the button below. If you have any questions, email us at clubinfo@delnorteclub.com. Bring your family and a picnic dinner. Let the kids burn off energy before bed while you hang out with other adult humans. All families are welcome! This is a great opportunity for both you and your kids to get to know other families at Arcade Church. We will meet at Mission North Park from 5:00-7:00pm. See you there! No need to register. We'll see you there! Are you newer to Arcade and looking to meet some of Pastors and staff? Well, Meet & Greet is the perfect place for you! We meet in the Library once a month on Sunday's around 12:15pm for some light snacks and refreshments. You'll be able to meet some of our Pastors and staff, ask questions about our ministries, or sign up to serve. There is no registration needed, just show up. Our next Meet & Greet is June 24. See you there! Middle School Summer Camp is at Alliance Redwoods Conference Grounds for those entering the 6th-grade - 8th-grade fall of 2018. Summer camp is the best way for students to connect with their leaders and other students. It also prepares them for the next phase of their lives while helping them grow in their faith. You can sign up here online or visit the Student Life Ministries Hub in the lobby during our weekend services. Summer camp is the best way for students to connect with their leaders and other students. It also prepares them for the next phase of their lives while helping them grow in their faith. Camp this year is for current 8th graders - senior. You can sign up here online or visit the Student Life Ministries Hub in the lobby during our weekend services. In the courtyard and patio immediately after our 10:00am service on June 3. Join us for a lunch of hamburgers, hot dogs, sides, and drinks. Bring your favorite picnic blanket or beach chair to sit in. We're asking for a donation of $10 cash per family. Half of the donation will go to a scholarship fund for families not able to afford VBS this summer and will be collected the day of the barbeque! We will provide childcare for the 10:00am service, Nursery - Pre-School. All other children and students are invited to join us during the main service. Arcade Church is sending John and Sarah Cassidy to plant Hope Community Church in Antelope. If you would like to find out more about the vision and how you can pray for our new daughter church come to our vision night on Thursday, May 24 at 7:00pm, in the church lobby.